If you are one among those who are fear about deforestation, you have a good news. Here is a wonderful way for afforestation, where a seedball containing seeds of different trees would spread greenery. 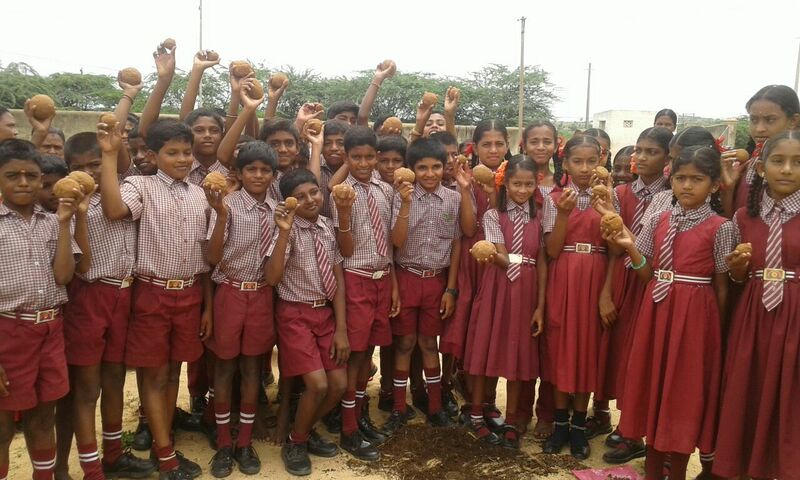 In fact this seedball is a concept of Neeraj Kamath and Vijay of Agara village in Kanakapur road of Bengaluru. However, this has been developed into a campaign by Dharmasthala Dharmadhikari Dr D Veerendra Heggade- Hemavathi Heggade couple. Now seedball is not new to many people of Kanakapura, Chintamani, Mulabagilu, Doddaballapura, Shidlaghatta, Hosakote, Chikkaballapur and Bengaluru rural. Seedball is not a new concept for foreigners. In Germany and France, they sow thousands of seedballs in forest using helicopters every year. They also throw seedballs using cannons. Seedball is nothing but mixing various tree seeds with mud and fertilizer and giving a shape of ball to it. This ball will be dried and used to spread in the forest. Sand of the lake, red sand or sand according to the area, fertilizer, cow dung, vermi compost, cow urine, Millettia pinnata (Honge), tamarind (Huli) and mango seeds are used for seedballs. There is an aim of producing one hundred seed balls and spreading in the forest this year. Already it has produced more than 13,000 seedballs. Training is being given to the beneficiaries in different taluks to make seedballs and spread them in the forest during rainy season. With the fertilizer content in the ball, seeds grow as saplings very early. This campaign would help in protecting the endangered species of trees. One can use the seed balls whenever they need. One can use seeds of flower, Tulasi, vegetable in seedballs. We can sow seedballs besides roads. Seeds can be prepared during summer and used during rains. More number of people can be involved in the movement. This method needs no nursery, fence or providing water. It saves money, time and also easily spreads awareness about greenery.